We are excited to share with you the good news about the olive tree planting you supported thanks to you and many more of our fantastic donors, the village of Burin has received 351 olive trees. 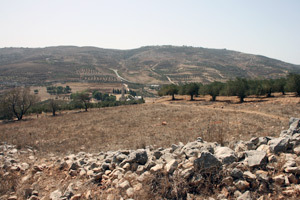 This new forest will change not only Burin’s landscape, but also the lives of this Palestinian community. Please accept our heartfelt thanks for this life-long donation. We have 351 olive trees ready. What’s next? While the olive trees are being pampered at a nursery, we are getting the terrain ready. The planting is scheduled for mid-January 2011. The very same day we plant the trees you will receive photos from us, along with a certificate. On behalf of the Palestinian refugees living in difficult conditions in the village of Burin and the local workers hired to plant the olive tree you donated, thank you!